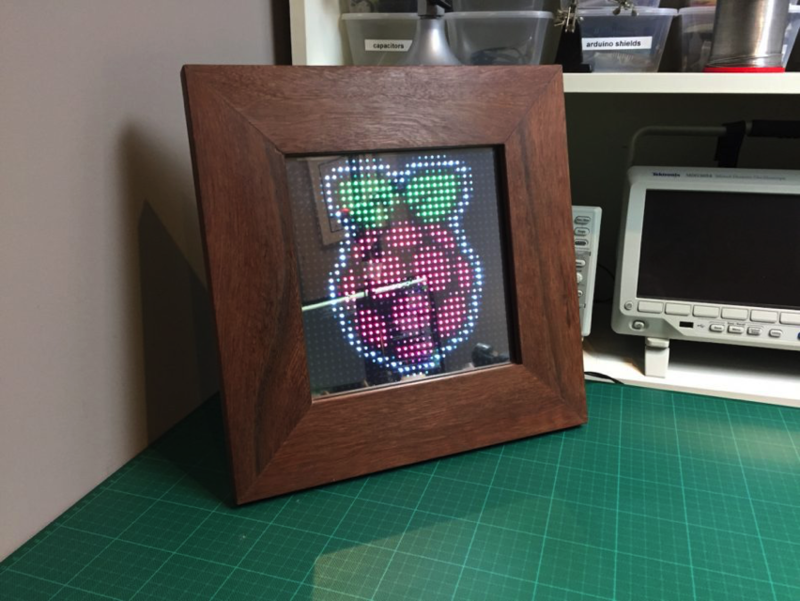 Pixel Art Frame made with Raspberry Pi #piday #raspeberrypi @Raspberry_Pi « Adafruit Industries – Makers, hackers, artists, designers and engineers! Nice project from Frederick Vandenbosch – would be a great holiday gift! I’ve always wanted to play with a big LED matrix, and now I have! ? In this post, I’m making a Pixel Art frame, capable of displaying images, scrolling text, etc … Useful to show the weather, social media notifications, and whatever else you can think of! 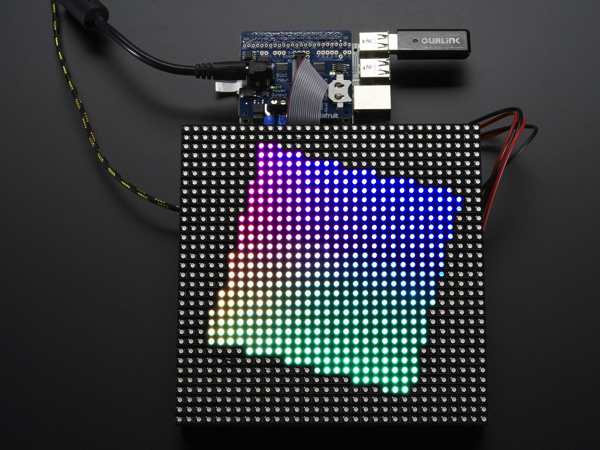 Adafruit RGB Matrix HAT + RTC for Raspberry Pi – Mini Kit: You can now create a dazzling display with your Raspberry Pi Model A+/B+/Pi 2 or Pi 3 with the Adafruit RGB Matrix HAT. This HAT plugs into your Pi and makes it super easy to control RGB matrices such as those we stock in the shop and create a colorful scrolling display or mini LED wall with ease. Read more. 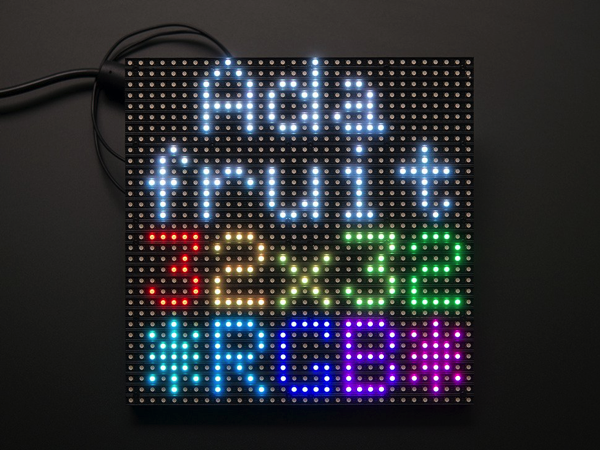 32×32 RGB LED Matrix Panel – 6mm pitch: Bring a little bit of Times Square into your home with this sweet 32 x 32 square RGB LED matrix panel. These panels are normally used to make video walls, here in New York we see them on the sides of busses and bus stops, to display animations or short video clips. We thought they looked really cool so we picked up a few boxes of them from a factory. They have 1024 bright RGB LEDs arranged in a 32×32 grid on the front on a 6mm grid. On the back there is a PCB with a set of dual IDC connectors (one input, one output: in theory you can chain these together) and 12 16-bit latches that allow you to drive the display with a 1:16 scan rate. Read more.